After a tasting with your baker, you decided on the perfect combination of a delicious cake flavor and smooth frosting. You brought in pictures of exactly how you want the cake to be designed, the number of tiers, the colored accents, and the texture. The only thing missing now is what will go on top! 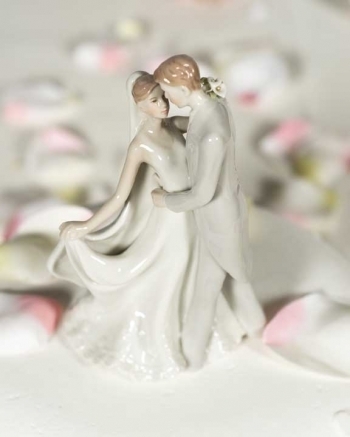 When it comes to choosing a cake topper, we typically see three categories of designs. The first theme is some type of figurine representing the Bride and Groom. These come in an extremely wide variety, ranging from traditional to unique. The traditional figurines usually depict the essence of a Bride and Groom. They are dressed in wedding attire, with the Bride wearing some for of a white dress, and the Groom in a tuxedo. Many times these are available in two different hair colors, brunette and blonde, but for the most part, that is as "different" as they get. For a more unique figurine, couples sometimes opt for a much more custom look. 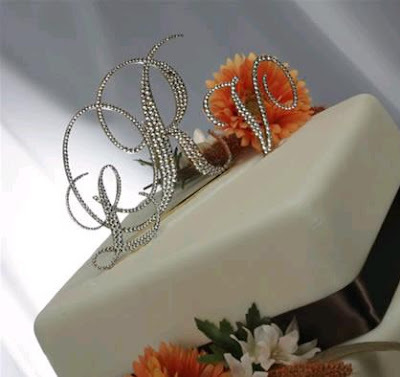 New businesses have developed that can make any type of Bride and Groom topper their clients request. By sending in a picture and exact description of what you are looking for, these businesses create exact replicas of the Bride and Groom. The You-Nique Boutique showcases a great variety of their work on their website along with a detailed description and pricing list, so you'll know exactly how close to your look they can get your figurine to be! If having a tiny replica of yourself is not your thing, there are certainly other options to adorn the top of your wedding cake. Something new and beautiful that we have been seeing pop up at weddings this past season is Initial Letters Toppers. Many couples decide to use their new shared last initial, but we have also seen the both of the couple's initials depicted as well. The style of the topper is completely up to the client, and come in a range of looks from colorful to rhinestoned. 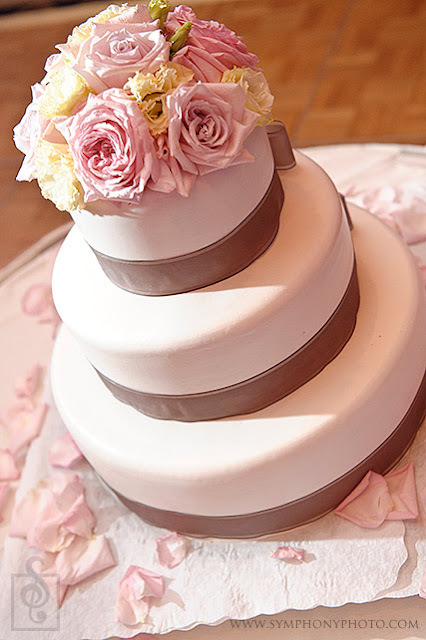 Being in the business of Full Event and Floral Design, we have been decorating cakes with flowers for years. 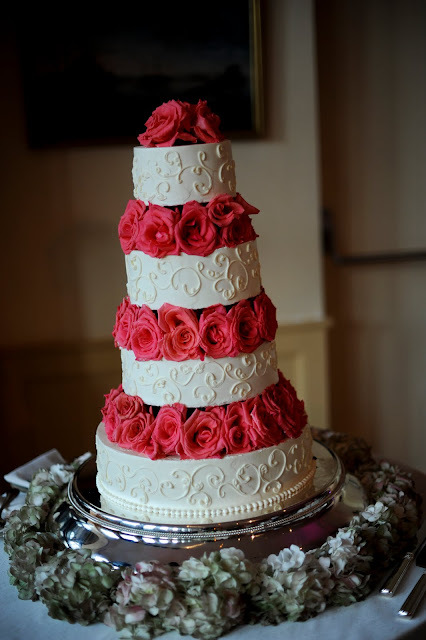 Generally our clients describe the look they want for their cake, and we work in conjunction with the baker once the cake has been delivered to the site. Depending on the design of the cake and the use of florals throughout the venue, we create a beautiful top to an already stunning cake! 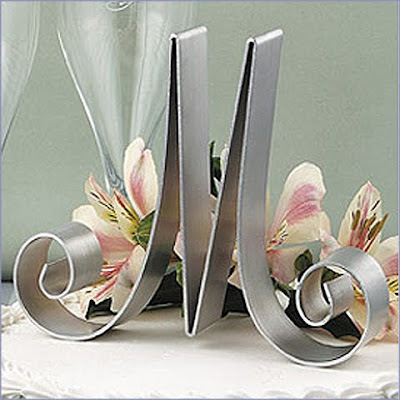 A Cake Topper is a small detail to the wedding that many forget to consider until later in the process. If you think you may want to use something more unique, like a custom designed figurine, you will need to allow 6-9 weeks for creation and delivery. If you are thinking of going with flowers, discuss the design ahead of time with your florist so they can order extra materials. No matter what you decide on for a topper, make sure it suites both the Bride and the Groom's style and looks like a perfect match for the wedding! 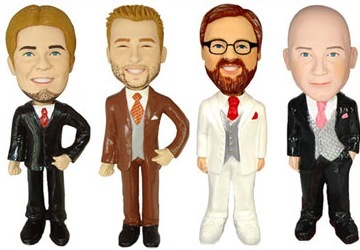 You may want to have unusual wedding cake toppers that don't really stray too far from convention. If you want the usual romantic couple but not the common upright pose, then you can just fix the pose. You can have bride and groom toppers posed on their first dance, kissing under an arch or frozen in the act of reciting their vows. 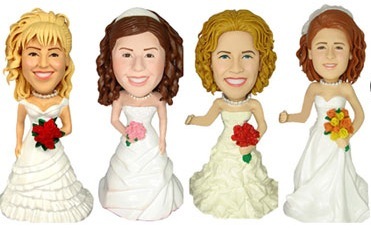 Some unusual wedding cake toppers also make use of variations on human shapes such as curved stick figure in an embrace.